Spring season has been arrived in Pakistan and every fashion designer and brand is busy in launching their latest spring collection 2016. Some fashion designers have already launched their spring collections whereas others are still busy in designing. 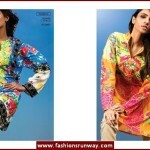 Females prefer to wear bright colors in spring season that is why every spring collection includes bright color dresses. In this article, I will discuss the Sana Safinaz ready to wear spring summer collection 2016. 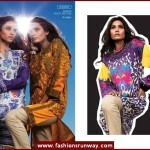 Sana and Safinaz are two diverse fashion designers of Pakistan. Both of them joined hands to form a clothing brand with the name of Sana Safinaz. 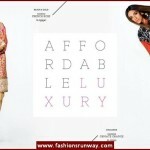 Since then, this brand is gaining more and more fame due to their exclusive and superior quality dresses. Sana Safinaz has always focused on the needs of their customers that is the key reason behind their prosperity. 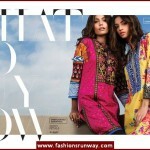 For this spring season, Sana Safinaz has launched ready to wear collection for ladies of all ages. All the designs presented in this latest collection are exclusive plus different from the last years’ ready to wear spring designs. This brand has not just focused on either eastern or western style; instead they have combined both these styles in order to bring something new for their customers. 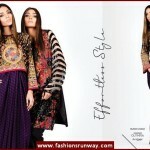 You would not be able to stop yourself from buying once you saw these attires. 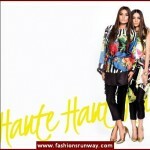 These two designers have once again showed their creativity in their latest spring collection. The entire ready to wear spring summer designs for women is available on their official website and you can also access these dresses on all the leading outlets. 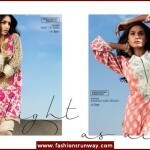 Ladies can get both embroidered and printed suits for wearing in spring season. The quality of these suits is also outclass. So hurry up girls, visit their outlets today and get a perfect spring dress for yourself. You will not regret buying these dresses. Let’s go through with the online catalog of Sana Safinaz spring summer ready to wear dresses 2016 with prices, for all age women.